The day I heard there was no concept of eternal hell fire in the original Hebrew Scriptures, I couldn’t wait to google the origin of this widely accepted doctrine. What I found was a link from the Greek to the Egyptian, ending in Mesopotamia. Folklore fuels fundamental beliefs based on geographical areas. These stories may have stemmed from truth but as they are passed down, from generation to generation, spreading to new cultures with different languages. 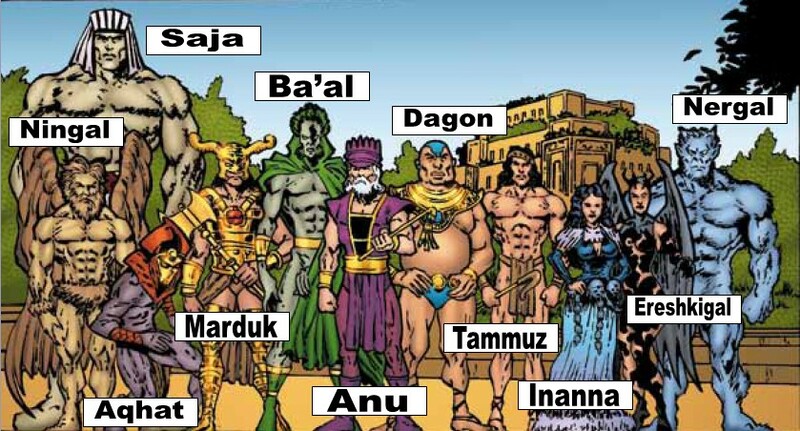 You will notice the names and details of these gods morph to fit the culture yet they can still be linked by their recognizable similarities. These same beliefs have carried into our cultures today because people, like me, have never heard that the Creator of the Universe gave mankind a plum-line to gauge Truth. Our Creator says His Word is Truth, Psalm 119:142; John 17:17. His Word teaches us to observe what has been made evident in creation, Romans 1:20. The only alternative is to blindly believe what we are told by other people. Why did the first Greek translators of the Hebrew Scriptures choose Hades, the abode of departed spirits, over the Greek cognate word, Taphos, meaning Grave? The Hebrew word Sheol means Grave, Pit, Abyss, Place of the Dead but departed spirits was not one of its original synonyms. When St. Jerome translated the Latin Vulgate, in 380 A.D., from the Hebrew Scriptures, his Latin word choice for Sheol was Infernum. English derives its word Inferno from the Latin, adding even more fuel to our Eternal Hell-fire doctrine. Hades has routed its way from Greek to German to Old English. These translators would have been looking for an equivalent word for Hades, completely unaware of its original Hebrew meaning. The Old English/Germanic root, Hel, Helle was chosen, along with its Teutonic and Scandinavian Norse mythology attached. Notice the difference between today’s ideas of Hell=the place where bad people go, and the Hebrew word Sheol=a place where all people go, Ecclesiastes 9:10. The Greek Hellenization of the Hebrews began around 4th Century B.C. The first Greek translation of the Hebrew Scriptures was written between the 3rd to 2nd B.C. By the 1st Century A.D. Jesus/Yehoshua had made a clear distinction between the original Hebrew Scriptures and the additions and subtractions of the religious leaders, Matthew 23:2-4. In His parable of the Rich man and Lazarus, we see the Rich man in a place of torment not Hell. 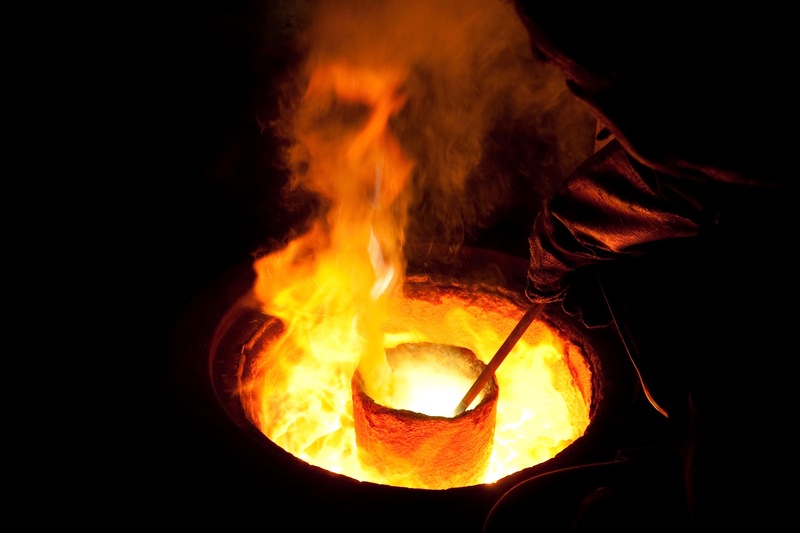 Torment=Basanos=Testing, is consistent with the ancient Hebrew metaphors of a refining process, as gold is purified in a crucible. Moses, was called a Hebrew, like Abraham, (Hebrew means, Crossed Over). He was given the Torah in Hebrew. These five books along with the Prophets and Writings that line up with our Creator’s Torah were compiled into a book called TaNaK, a Hebrew acronym for Torah, Prophets and Writings. The first Greek translation of the TaNaK was called the Septuagint, meaning seventy, because it was translated into Koine Greek by seventy men from the twelve tribes of Israel, (See Septuagint-Wikipedia). Remember when God called Israel “My First-born son?” Exodus 4:22. God prophesied to Abram/Abraham, his decedents would be oppressed four hundred years, Genesis 15:13; Acts 7:6. Then He called them out of Egypt, and from its mythological gods. Jesus/Yehoshua is also called, My Son, First-born from the dead, Psalm 2:7; Colossians 1:18; Revelation 1:5. Both were called out of Egypt, Hosea 11:1; Matthew 2:15. His Perfect, Unchanging Word reveals these connections and continues to call Israel, those who contend with man and with God and prevail, Genesis 32:28, out of the world and its mythology, Exodus 4:22; 20:2; John 15:19; Matthew 10:22. Gehenna is the Greek transliteration of the Hebrew Ge Hinnom or Valley of Hinnom. Hinnom means Wailing or Lamenting. Synonymous with the Valley of Topheth, Gehenna is known as the Valley of Slaughter, Jeremiah 19:6. YHVH (He Is, Was and Always Will Be) called this a Detestable place. These pagan sacrifices also included temple prostitution to appease the angry gods: 2 Chronicles 28:3; 33:6; Jeremiah 19:4, Leviticus 18:20-22; Leviticus 20:1-32 ; 2 Kings 23:9-11; Isaiah 30:33; Jeremiah 32:34-36; Isaiah 66:23-2; Joshua 15:8, Matthew 5:22 & 29,30; 10;28; 18:9; 23:15 & 33; Mark 9:42-44 Luke 12:5; and James 3:6 all refer to the valley of Gehenna. Jesus/Yehoshua spoke in parables, using the physical example of Gehanna, the Garbage Dump, to describe Jerusalem’s coming destruction. It would be “Like” the garbage when it is Consumed by the fire and the worm, Matthew 13:34; Isaiah 66:24; Mark 9:48-50. Yehoshua began warning Jerusalem of its coming destruction in 30 A.D. It came to pass forty years later, in 70 A.D.
Jerusalem lay waste and not one stone of the Temple was left on the other. Everything combustible literally perished in the fire, Matthew 24:1-3. Today, Gehenna, the place where trash was burned and maggots thrived on dead flesh is still called the Hinnom Valley. The Refuse has perished forever in the fire. Anyone who visits the desert of Sodom and Gomorrah will notice it has perished forever… the Bible says it was a well watered garden before it became a waste land, Genesis 13:10. *Remember the Hebrew word, Olam, and the Greek words, Aion, do not mean Eternal. They both refer to an age lasting, perpetual, from one point until the next or until death. What lies beyond that is Spiritual, L’Olam. The Greek word translated into English as Hell is Tartarus, an Egyptian word borrowed by the Greeks, also referred to as the darkest, deepest abyss or bottomless pit. Below are two other references of a Dark Abyss or Grave. “And the angels who did not stay within their own domain, but abandoned their proper dwelling, He keeps under darkness, in eternal, (from aei #104) chains for judgment on that great day.“ Jude 1:6. The Abyss/Bottomless Pit/ Sheol/Grave, they are all referring to the place of the Destroyer Angel, Abaddon, the Beast, the Devil and his angels, Dragon, Serpent…all synonyms for satan. Satan is God’s Adversary, and that describes the majority of mankind, that will be bound for 1,000 years, Matthew 25:41; Revelation 9:1; Revelation 9:11; Revelation 11:7; Revelation 20. Translators have taken the liberty of adding their mythical bias to God’s spiritual metaphors. Words like demon, dragon and devil do not exist in the original Hebrew. The serpent represented hasatan, the adversary, first noted in the garden of Eden. Yeshua uses the phrase, Outer Darkness, in His parables describing those outside of God’s Kingdom, where there will be weeping and gnashing of teeth, Matthew 8:12; Matthew 22:13; Matthew 25:30; Luke 13:28; Psalm 112:10. “Blazing Furnace/Fiery Oven” means to Consume/Devour, Psalm 21:9 “The Lake of Fire (describing the crucible) is the Second death,” Revelation 20:14 Did you notice Death and Hades/Hell are thrown into the Lake of Fire,The Second Death? The Outer Darkness is Death, not Eternal Hell Fire. When we repay our enemy with God’s Merciful Loving Kindness it is said to heap burning coals on his head. The burning coals are obviously figurative, our enemies will not be physically burned but spiritually convicted. Isaiah describes his vision, standing in God’s presence, the house was filled with smoke, a seraphim took a live (burning) coal from the alter and touched Isaiah’a unclean lips and his sin was covered/removed/purified, Isaiah 6:7. The Lake of Fire Is The Second Death, and Death is the last enemy to be destroyed. Death is separation from our Spiritual Creator, but death was never eternal. Death will be no more, it will pass away, it will be swallowed up, Isaiah 25:8; Revelation 21:4. The Example of The Rich Man and Lazarus. If we re-read the story of Luke 16:19-31, without any eternal Hell-fire mythology, observe the physical examples, it’s a picture of the Second Death. Lazarus and the Rich man reverse roles after they die. The poor, tormented beggar, who longed for the food that fell from the rich man’s table, is seated in a place of honor, (Abraham’s bossom) he is comforted while the Rich man is now tormented, Basanos. Basanos #931 is the Greek word for Touchstone, a dark stone used to test metals for purity. This physical example reveals the word Torment is Testing. Torah and Living Water are Hebrew similes. Just as Fiery trials produce repentance. Abraham endearingly addresses the rich man as Child and explains the chasm/gulf/wide space cannot be crossed. The rich man refers to Abraham as Father and asks him to send Lazarus to his father’s house where he has 5 brothers, (the Pharisees were listening and Jesus may have wanted to make sure they knew who He was referring to, Judah had 5 brothers from their mother Leah). Abraham replies, they have Moses/Torah, (Water) and the Prophets, let them hear. Many people believe this story supports their eternal Hell Fire doctrine but I believe we must view God’s Word with eyes and ears to perceive physical examples as revealing spiritual truth. God’s Word does not teach the dead are tormented eternally in a flesh burning fire. There is a Second Death but not it is not eternal, it’s Aion, an age lasting separation from our Spiritual Creator. How Many Sons did Father Abraham have? AMEN! My name is Alan Finch. I became a Christian 42 years ago. I have written an article upon this topic, but it is much too lengthy to post on this site (26 pages). Below is an introduction. If anyone would like a copy in it’s original Word Document Format, feel free to e-mail me and request a copy and I will e-mail you a copy. HalleluYah, spread the word Alan! Thank you Kaylened. This morning, I went back to your website and clicked onto the section about you. I then decided that I would like to share a few things with you. You are so very spot on about our Creator’s Boundless Love. The great tragedy of the Church today in America is the lack of understanding of just how great God’s Boundless Love is for each and every single individual. That understanding is in complete contradiction to what the Scriptures reveal. The “Great White Throne Judgment” is indeed a judgment, but the outcome of that judgment will not be a judgment of people spending eternity being tormented in the “Lake of Fire.” The final outcome of the “Great White Throne Judgment” for each and single individual that comes before it, will be that of coming to an understanding of just how much God’s Boundless Love is for the entire human race. Kaylened, you are also so very spot on about seeking the Truth from the source of Truth, rather than from man, regardless of the Spiritual Titles that is in front of their names. Because of the magnitude of the importance of this topic, I have posted my comment on a number of websites. After all, there is nothing more important than having a proper understanding of God’s eternal plan and destiny for each and every single individual. If you don’t mind, I would like to share a couple of feedbacks with you from people who have read my article. The 1st e-mail reply is a sample of some of the negative feedbacks that I receive. The 2nd e-mail reply is a sample of some of the feedbacks that I receive (which are not many). The 2nd e-mail reply is the type of e-mails that i treasure. Your wonderful comment about universalism greatly touched my heart. My eyes have only recently been opened to that sublime truth and the way you stated the case was music to my ears – and my heart. Excellent teaching. Thank you very much. I just happened upon your comment in my search for more understanding about the sweet truth and extremely “Good News” about God’s intention to eventually gather ALL of us back to Himself. And your comment did indeed increase my understanding of this marvelous subject, so I’m in your debt. I don’t think I’m dreaming when I envision the entire world being transformed by this teaching. I hope to follow your lead, Alan, and play a part in spreading this “heretical” teaching, because I believe that it is anything but. The heresy is the traditional teaching of damnationism. What a slur upon God’s loving character. I seriously have to question myself for ever having bought into such insanity. And for sooo long. Thank you again, Alan, for your balanced and well thought out comment. You have enriched me. Robert. Kaylened, I have come to understand in my 42 years as a Christian, that God will open up the revelation truth from His Written Word to those who will embrace it . I find it to be astounding as to how many Christians will not accept and embrace God’s truth when it is presented to them. God bless you greatly Kaylened! Thank you so much for your comments Alan, God bless you. I went to “The Word” and it said you deleted your site? If you would like, i would be more than happy to e-mail you a copy of my article. When I 1st began writing my article in May of 2014, the article was approximately 12 pages. The article has now grown to be 29 pages. Feel free to e-mail me, and I will send you a copy.